Scores of companies generate huge returns for their investors without making splashy financial headlines. That’s why it can make a great deal of sense to look for stocks to buy that Wall Street is currently ignoring. So, which stocks are potential hidden winners that can be safely purchased today? We asked a team of investors to weigh in, and they picked these stocks. If you want to beat Netflix at its own high-growth game, you will have to take some risks. On that note, let me introduce you to 8×8, the most exciting little telecom-like company you’ve never heard of. 8×8 sells voice and video communications services built on cloud-computing concepts. The company mostly serves small and medium businesses at this point, but it has started to sniff around a few huge customers in the enterprise category. Big contracts are the long-term future of this business. According to CEO Vik Verma, only 10% of the enterprise communications market is served by cloud-based solutions today, leaving the vast majority of a $50 billion annual sales opportunity untapped. Now, 8×8 is hardly the only game in town. Besides a handful of other cloud communications specialists, the big boys of the telecom world also dip their toes into these waters. There are no guarantees that 8×8 will beat all comers and become the undisputed king of internet-based enterprise communications. But you can’t win if you don’t play, and 8×8 is most definitely in the game. This company has some high-growth chops. Over the last five years, 8×8’s revenues have increased by 160%, closely followed by 184% higher share prices. But shares are trading at a mind-boggling 208 times forward earnings estimates and 109 times the company’s free cash flows. At these nosebleed levels, it’s a volatile ticker that’s prone to sudden jumps — and the occasional crash. So, I’m not 100% sure that 8×8 is a guaranteed long-term winner. All I’m saying is, if the company keeps up the good work for another few years, it could make shareholders very happy indeed. Don’t back up your truck to the buying window. This is a lot of speculation and a certain amount of gambling, but that’s what it takes to beat Netflix, in my book. Imagine your daughter or son 20 years from now, chatting with you in a beach house overlooking a gorgeous white sand beach with their kids — your grandchildren — splashing in the crystal-clear water. Your adult child is telling you about how much the kids love their new pediatrician. Here’s the kicker: You’re not in a beach house and are instead in a virtual reality world while your fully autonomous car is driving you to visit your child. And that pediatrician is a robot. NVIDIA’s graphics processing units (GPUs) power the world’s most popular video game applications, which makes them perfect for virtual reality as well. The company’s GPUs are also well suited for artificial intelligence (AI) applications. And NVIDIA ranks as a key leader and innovator in self-driving car technology. Being at the forefront of several enormously important tech trends caused NVIDIA stock to soar close to 900% over the last three years. I expect NVIDIA to remain an important player in these areas for a long time to come. There should be plenty of room for the stock to go much higher over the long run — even if the future doesn’t turn out exactly like I think it will. This entry was posted in Tech Stocks and tagged EGHT, NVDA, P on June 29, 2018 by admin. Pandora (NYSE:P) shares have blasted out of a long consolidation range — which ran between November and April — and hopes of an emerging turnaround for the internet streaming music pioneer. New management has managed to engineer an increase in paid subscriptions and stabilize user metrics. Analysts at B. Riley FBR upgraded shares to “buy” on what they see as meaningful business improvements and an attractive valuation. The company will next report results on July 31 after the close. Analysts are looking for a loss of 16 cents per share on revenues of $372.50 million. When the company last reported on May 3, a loss of 27 cents per share beat estimates by eight cents on a 1% rise in revenues. The name might be a little misleading, but Renewable Energy Group (NASDAQ: REGI) is a leading eco-friendly stock nonetheless. The company is the nation’s largest biodiesel producer, processing inedible agricultural products into over 450 million gallons of biofuel every year that is blended with petroleum-based fuels to reduce emissions. It has quietly grown its footprint over the years despite political wrangling over key subsidies for the industry. Aside from perennial uncertainty, things have worked out for the business: the reinstatement of an important tax credit just netted the company a $205 million windfall. Camtek is a developer of automatic optical inspection systems that are used to enhance both production processes and yield for manufacturers in the circuit board and semiconductor industries. After posting better-than-expected earnings results last week, CAMT has moved to a Zacks Rank #2 (Buy), and its resulting share price surge has earned it an “A” grade for Momentum in our Style Scores system. Camtek is also an exciting growth pick, with EPS figures expected to improve by 81.5% in the current fiscal year and an additional 25.5% in 2019. Still, the stock is trading with a Forward P/E of just 16.1 and a P/S of 2.8—so its valuation is hardly stretched considering its rapid expansion opportunities. In April 2017, the company formerly known as Taser International re-branded as Axon Enterprise Inc (NASDAQ:AAXN). As part of the re-branding, the company essentially changed the focus of its whole business model from selling tasers to selling body cameras and the accompanying data management and cloud storage solution. 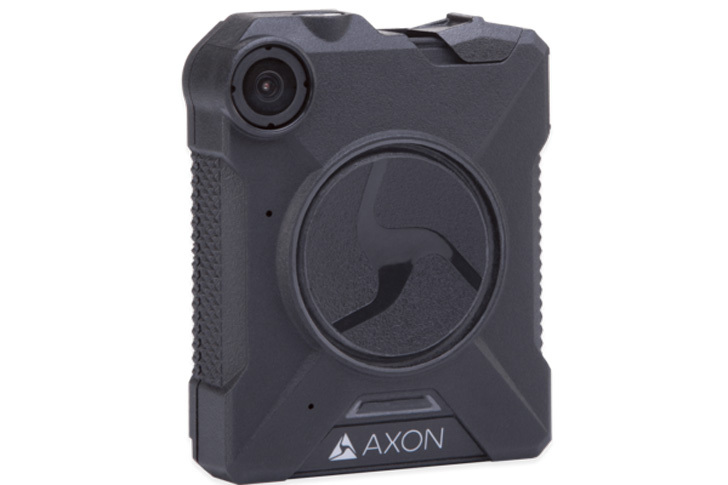 To accelerate this transition, Axon agreed to give away free body cameras to every police officer in the United States for a year. Wall Street hated the idea. AAXN, after all, is a business, not a charity. The stock dropped to $21, and it stayed there for a few months as the numbers over the next several quarters showed significant margin pressure. But time and time again, I said to buy AAXN stock while its margins and valuation were depressed (read here, here, and here). The whole idea was that everyone would love the one-year free trial, and subsequently, AAXN would sell a whole bunch of body cameras, smart weapons, and cloud subscriptions the following year. Indeed, that has happened. AAXN just reported robust fourth quarter numbers alongside a strong guide that called for continued strong revenue growth and big margin expansion. AAXN stock jumped to above $40 on the news. Moreover, since that report, it seems like everyone and their best friend is ordering smart weapons and body cameras. In the month of April alone, the Chicago Police Department ordered nearly 3,500 smart weapons, the Montgomery County Police Department rolled out in-car cameras to 900 vehicles, and the Kent and Essex Police forces in the UK ordered almost 5,000 Axon cameras. Clearly, this is one of the hottest turnaround stories on Wall Street. AAXN was a $20 stock not too long ago. Now, it’s at $42, and the momentum is only building. This entry was posted in Energy Stocks and tagged AAXN, CAMT, NVDA, P, REGI on June 27, 2018 by admin.